Sheffield United pulled off a fine 2-1 stoppage-time win at Spurs, as Manchester United took the points at Charlton Athletic by the same scoreline to take over at the top of the FA Women’s Championship. Tottenham Hotspur’s title hopes were damaged as Sheffield United came from behind for an impressive 2-1 away win. 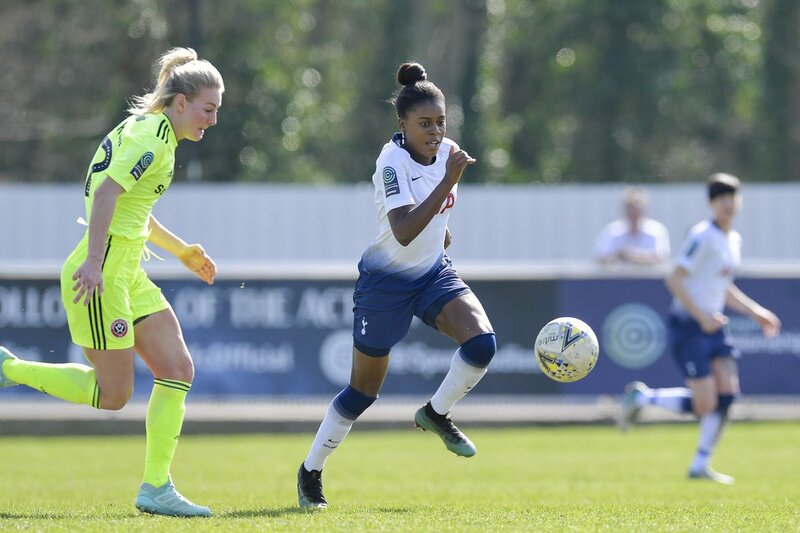 Keeper Chloe Morgan denied both Ebony Salmon and Rebecca Rayner early on but it was Spurs who scored first 10 minutes after the interval. 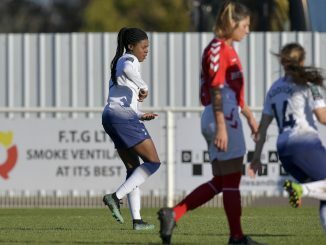 Ashleigh Neville played the ball up the line for Bianca Baptiste to deliver and Jessice Naz to slot past Fran Bentley. Sheffield were level within 10 minutes as Bentley’s long ball found Salmon through on goal to level. 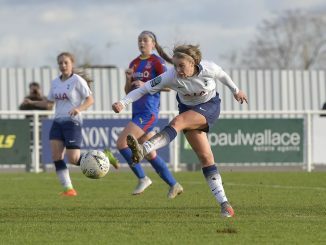 Rhianna Dean might have but Spurs ahead but shot over the bar and then in added time Jade Pennock netted a dramatic winner. 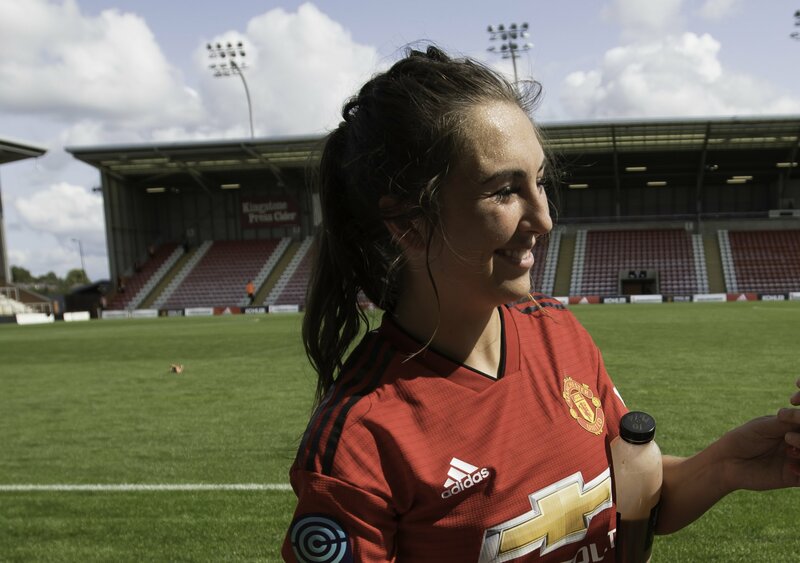 Katie Zelem netted a penalty and set up Manchester United’s second in a 2-1 victory at third-placed Charlton Athletic, that put them top of the table with a game in hand. Hoke keeper Katie Startup punched Zelem’s free kick clear and caught Greenwood’s powerful effoer from close range. 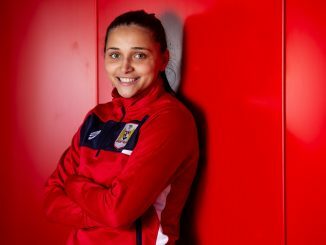 However, Manchester United were awarded a penalty on 56 minutes for handball against Charlotte Gurr and Zelem converted. Seven minutes later it was 2-0, Zelem’s corner presenting Jess Sigsworth with a free header on the six-yard line. Ejupi went close to halving the deficit and substitute Kit Graham succeeded when firing home across Siobhan Chamberlain with 8 minutes remaining.